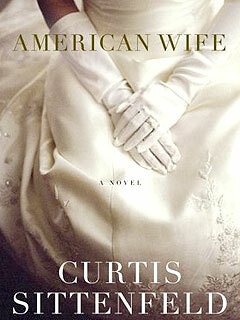 American Wife by Curtis Sittenfeld, Random House, 2008, 555 pp. This novel is a thinly-veiled fictional portrait of Laura Bush. While the names and locations have been changed, little else in the story line has. The main character, Alice Lindgren, is a middle-class girl who meets up with a wealthy party-boy bachelor, Charlie Blackwell. Like Laura Bush, she causes a car accident in high school that kills a classmate, she works as a librarian, and she differs from her husband by being pro-choice and pro-gay marriage. The Blackwell family is nearly a mirror for the Bushes: a compassionate father in politics and domineering mother, a giant summer home compound, raucous brothers, wealth and privilege. Charlie Blackwell went to Princeton instead of Yale, but he was a cheerleader, turned alcoholic, turned major league baseball team owner, turned born-again Christian, turned governor, turned president, with all the personality traits of George W. Bush. 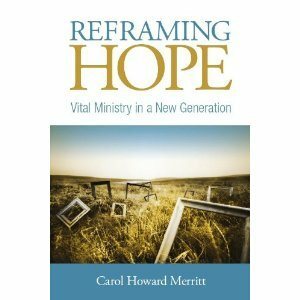 The book starts out with an interesting imaginative perspective, hearing Alice’s voice and her understanding of her life’s choices. It is entertaining to merge Alice Blackwell and Laura Bush in your imagination and wonder if Alice’s words and perspective might be shared by Laura. There are several plot developments that do not parallel the life of Laura Bush, which add interest and intrigue. The first 400 or so pages were good, but not great. However, the book went on about 100 pages too long. Once the family hits the White House, Alice’s narrative voice is like a blow-by-blow commentary of the Bush presidency. Alice comments at length on all the major events of the Bush presidency—the election challenges of 2000, September 11, wars in Iraq and Afghanistan, Karl Rove, even Cindy Sheehan. (Rove and Sheehan have different names, of course, but little else is different.) I found it at best dull and at worst ridiculous to read an imaginary Laura Bush’s perspective on all these events. While I kept reading to see how Alice’s story would wind up, I found the running commentary on recent history uninsightful and way, way too long. Overall, American Wife gets a “meh.” Not bad, not poorly written, but not all that exciting either.